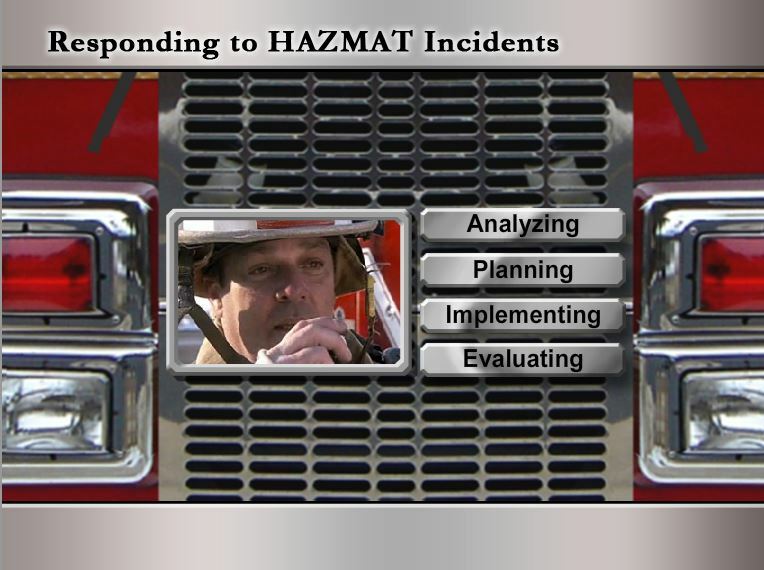 NIEHS Responding to HAZMAT - MetaMedia Training International, Inc.
Project Description: When fire fighters and other first responders follow a systematic approach to handling HAZMAT incidents, their safety and health is better protected. 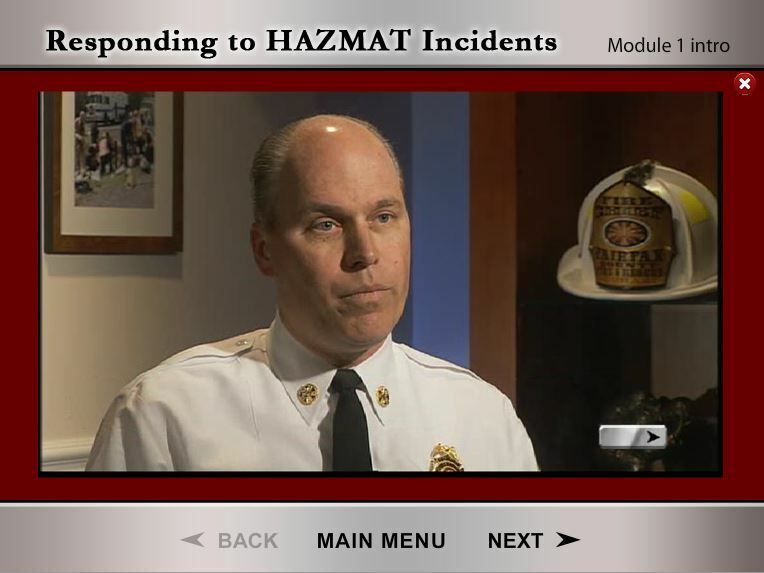 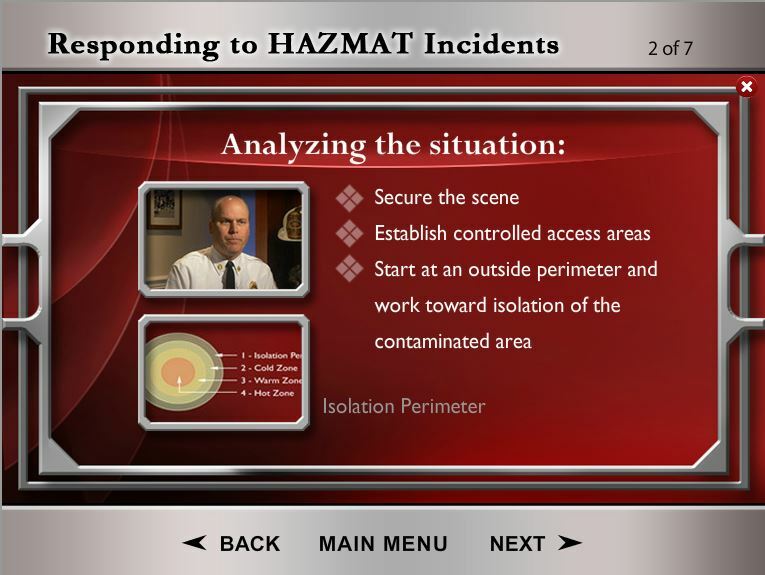 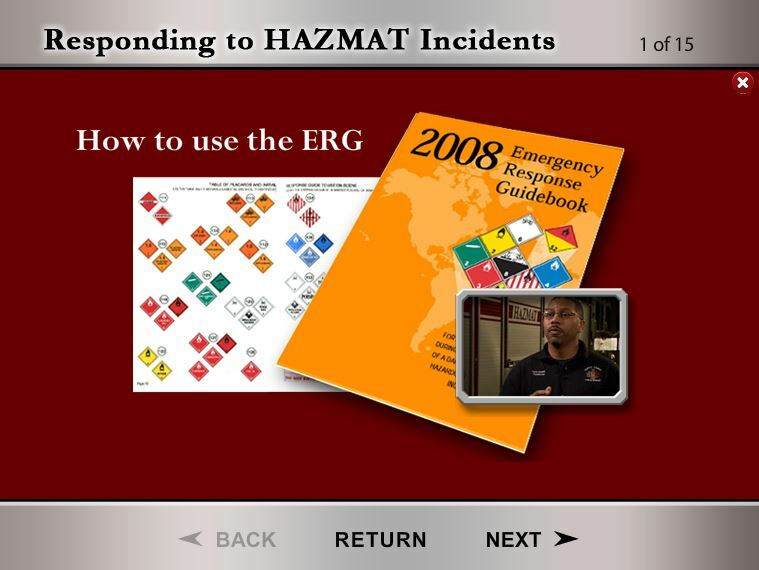 To help protect fire fighters and first responders, MetaMedia and the Hazardous Materials Training Department of the International Association of Fire Fighters (IAFF) teamed up to develop Responding to HAZMAT, a training curriculum for use by first responders in dealing with incidents involving hazardous materials. 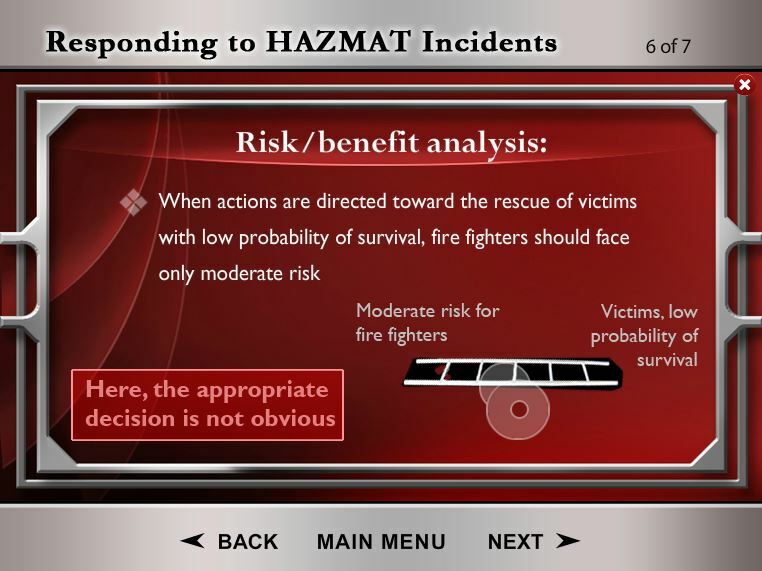 This training program provides a virtual experience on the systematic approach and includes proven case studies developed by the IAFF as part of their First Responder Operations course.